Before the recent cool and wet weather hit us, we were hit with continuing visits from touring cyclists at the Century Cycles store in Peninsula. 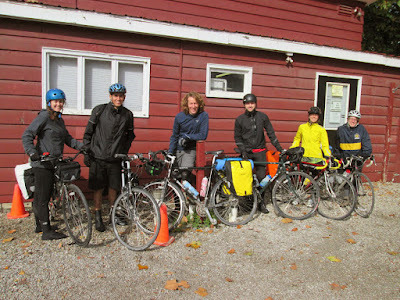 These six members of the Taco Tuesday Coalition of Cleveland decided to plan a bike-camping weekend at Portage Lakes State Park outside of Akron, and stopped by on their way through on Oct. 4. 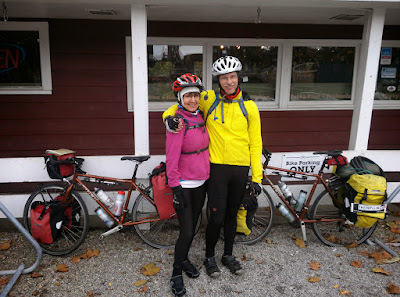 You can see more photos of bike touring riders who have visited all three of our stores in our Bicycle Touring Photo Gallery.